Sjogrens Syndrome is a chronic autoimmune disorder that causes inflammation in various areas of the body, but most often affects the exocrine glands that produce tears and salvia. Patients with this disorder often complain of dry eyes and mouth, but unfortunately there is much more to this disease than dryness. Because it is an autoimmune disorder, the immune system mistakenly attacks the body’s own cells and tissues. This causes damage to parts of the body such as joints, thyroids, kidneys, lungs, skin and nerves. While there is no cure, Sjogren’s syndrome can go into remission and symptoms can be inconsistent. Some who suffer may experience severe symptoms while others have mild symptoms. Regardless of the varying degrees, it is crucial that patients be monitored for complications and are able to manage their symptoms and live a comfortable life. Use gloves when using strong soaps or chemicals to clean. Keep a pair in several areas throughout your home to get yourself in the habit. Limit your time in the shower and be sure to use warm, not hot, water for bathing. Remember to use soap sparingly. Apply lotion as soon as possible to seal in moisture. Use sunscreen when you are going to be outdoors. When getting out of the shower, let yourself dry naturally since the moisture from the water will be absorbed by your skin. Avoid fabric softener that may irritate skin and exacerbate dryness. Avoid exposure to smoke, excessive wind and dry environments. Use over-the-counter artificial tears. Try changing brands if one brand becomes bothersome. Avoid eye drops that contain preservatives. Use ointments and gels for overnight use. Protect your eyes from wind by using glasses or sunglasses that block airflow. Use a humidifier in your bedroom or in your HVAC unit. But don’t forget to sanitize your humidifier a few times a week. If your eyes start to feel dry, use warm compresses. When applying mascara, only apply to the tips of your eyelashes. Do not put eyeliner or eyeshadow under your lashes or close to your eyes. Do not use facial creams on the skin of the lower lids at bedtime if you find your eyes are irritated at night. Talk with your doctor and find out if any of your medications are contributing to your dry eye. Maintain excellent oral hygiene. Brush at least twice daily, floss daily and use toothpaste with fluoride. Regularly visit your dentist and talk to him or her about a recommended toothpaste or mouthwash. Avoid sugary foods and if you indulge, brush your teeth immediately after. Chew sugar-free gum or hard candy to promote saliva production. Take sips of water throughout the day. Drinking large amounts of liquid will not make your mouth less dry and may lead to frequent urination. You should take small sips but not too often. Too frequently can lead to an increased feeling of dryness. Use oil or petroleum-based lip balm or coconut oil to soothe dry lips. Avoid frequent snacking, acidic foods and foods with simple sugars. Discuss the use of prescription medications with your rheumatologist. Keep an eye on the humidity levels in your home. According to Penn Medicine, “the target humidity level should be 60 percent” for those who suffer from Sjogren’s Syndrome. Avoid dry environments, alcohol and smoke. Use over-the-counter nasal sprays or saline up as frequently as every hour. 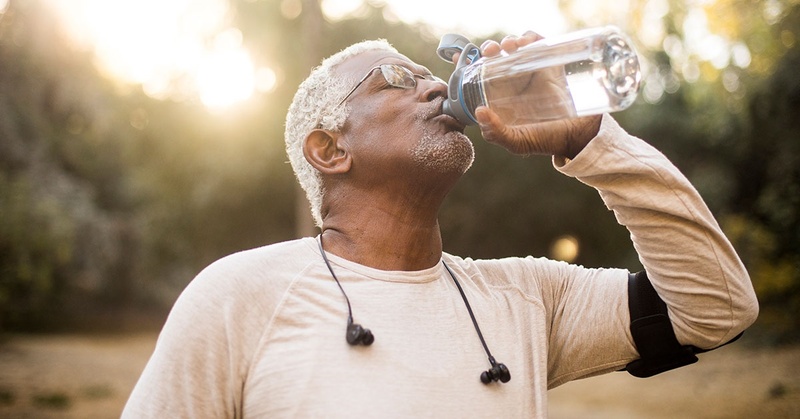 While there is not one universal treatment for Sjogren’s Syndrome, doctors at Carolina Arthritis are well trained in lessening active symptoms and improving patients’ quality of life. At Carolina Arthritis, we believe that it is imperative for our patients to fully understand their diagnosis and be comfortable with the path of treatment we have chosen with them. If you feel you or a loved one may be suffering from Sjogren’s Syndrome, contact us right away to schedule an appointment.